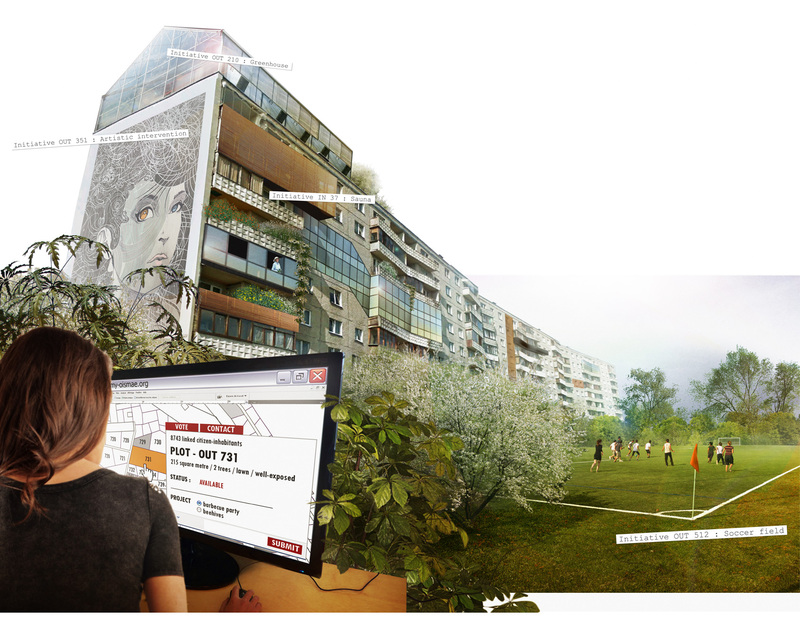 Type : Concours d’idée « Recycling Socialism » , Tallinn Architecture Biennale 2013 (Ee). 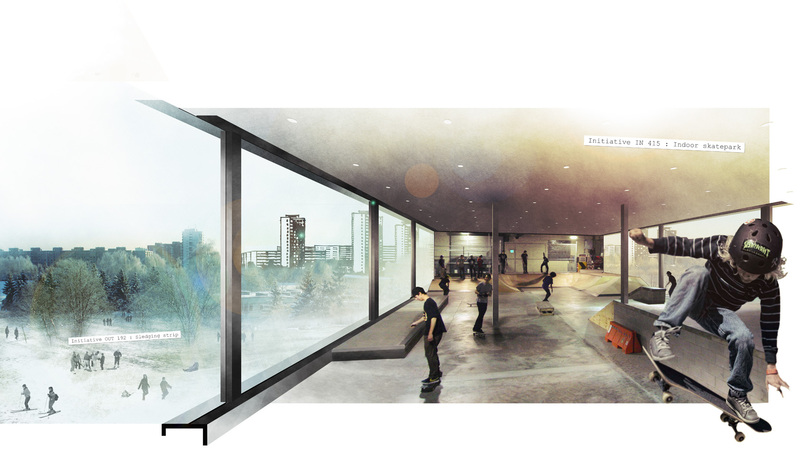 is a tangible and virtual shared space. 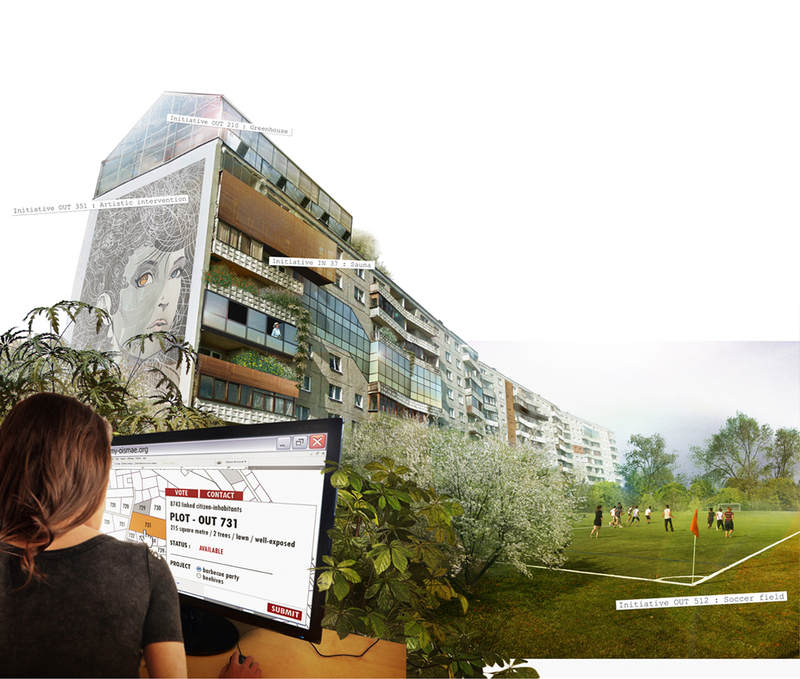 The « agora » is permitted by an informatic programm using a social network and land registery (indoor and outdoor). 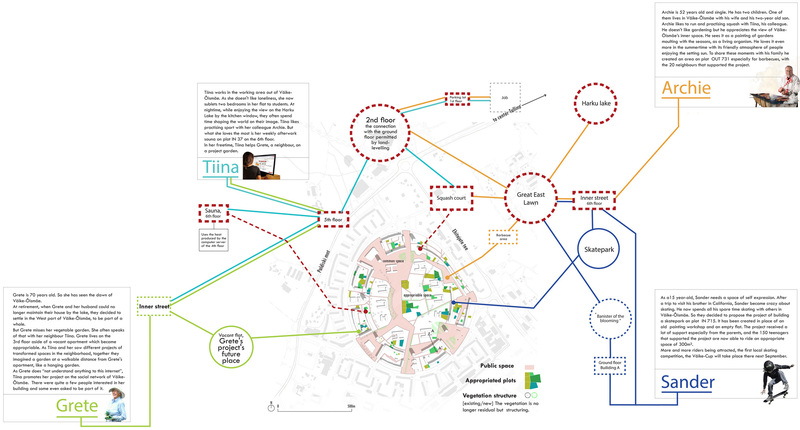 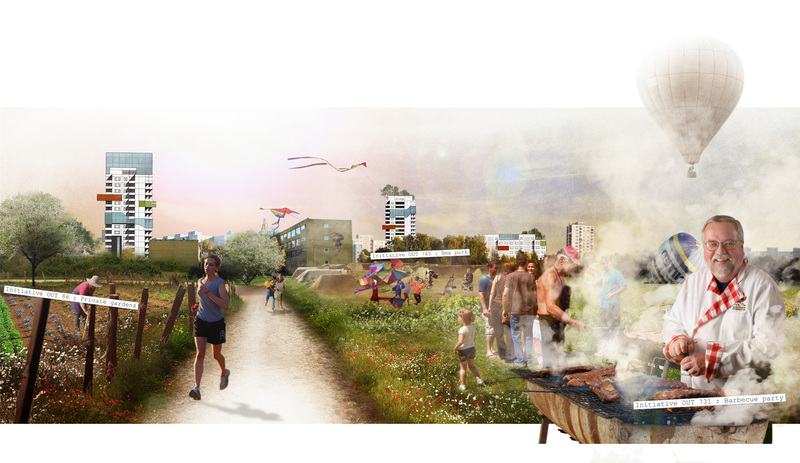 Through the « agora », the linked citizen-inhabitants can exchange then decide together about their shared space according to each one’s will : Väike Osmae’s common good is now defined by indivual initiatives which offers an evoluting living environnement modulated by its citizen-inhabitants.